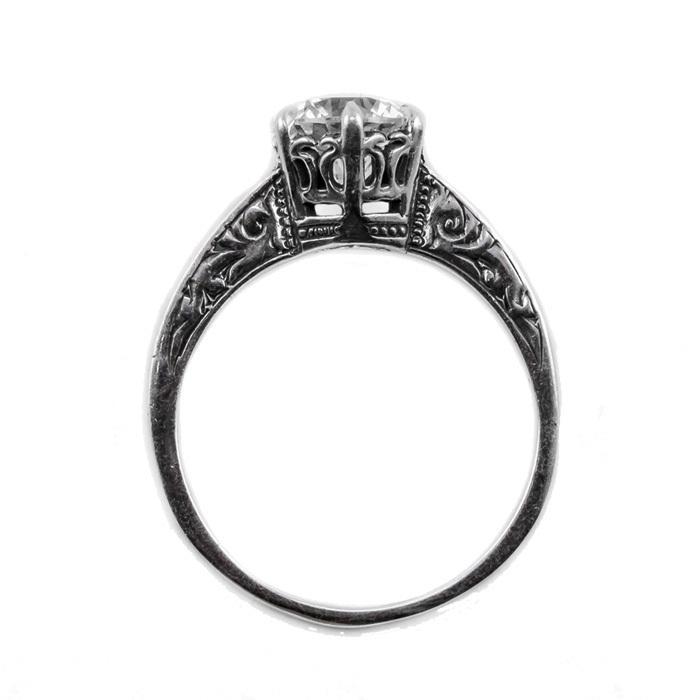 If there has ever been a piece of jewelry that garners praise, this Apples of Gold 14K white gold ring is it. The vintage style brings back treasured memories of years past. With a stunning white topaz gemstone that demands attention, this 14K white gold ring is a showstopper. 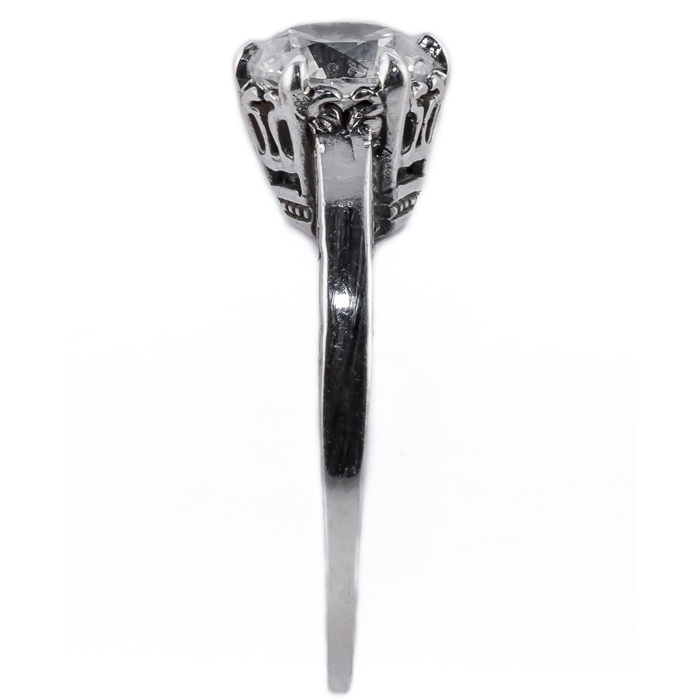 Everyone will be asking you where you bought this amazing white topaz ring. Measures 7mm and ready to ship to you today. 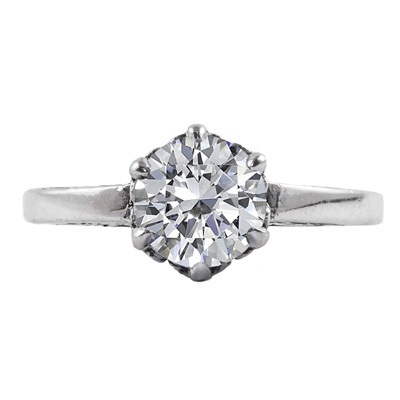 The solitaire white topaz is carefully set in the center of the 14K white gold vintage design. We guarantee our Vintage Style White Topaz Solitaire Ring in 14K White Gold to be high quality, authentic jewelry, as described above.